Obituary – Dormire, Reid A. « Perry High School Alumni Association, Inc.
Obituary – Dormire, Reid A. Basketball, Band, Science Club, Track, NHS, FCA. Reid A. Dormire, 21, passed from this life into the waiting arms of God, his Father on November 30, 2015. A celebration of his life will be held Saturday, December 5th at the First Baptist Church of Perry with Steve Smith officiating. Burial will follow at Haskew Cemetery in Woodward County. Reid was born on December 10, 1993 in Stillwater, OK. 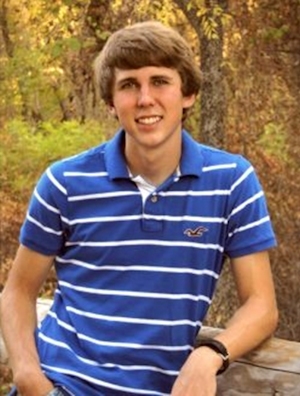 He graduated from Perry High School in 2012 where he excelled in scholastics, band, and athletics. He was currently attending O.S.U. majoring in mechanical engineering. 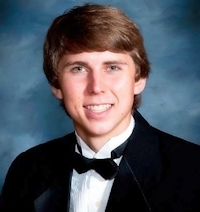 Reid was a gentle, quiet, thoughtful, caring, inquisitive and intelligent young man who has positively affected the lives of all those he touched: family and friends. Reid had a heart for his friends giving his time, companionship, and help with their studies. To his family he gave his love and care. We have all loved him well and will always keep him in our hearts. Reid was a gift from God lent to us for just a brief time to care for us and teach us and now he is in heaven reaping his reward. He will be missed. We want everyone to strive to be as loving and compassionate for others as Reid exhibited during his life. In this way we can honor him. Above all reach out to those who love you if you ever feel the conditions of your life are insurmountable. He is survived by his mother, Tammy Dormire, his brother Kody Dormire, and his father Mark Dormire, all of Perry, his maternal grandparents George and Dixie Soupene of Mooreland, his uncle Rich and wife Dana Soupene and their girls Ali and Sidney of Yukon, his aunt Janet and uncle Butch Crenshaw and their boys Dustin and Brandon of Red Rock. Reid was preceded in death by his paternal grandparents Cloyce and Mildred Dormire. Memorial contributions may be made to Samaritan’s Purse care of Brown-Dugger Funeral Home, 1010 N 7th Street, Perry, OK 73077.